Finally the web camera at Jyrgalan valley is back online. We had a huge renovation at the site since the September and had to turn off the camera. 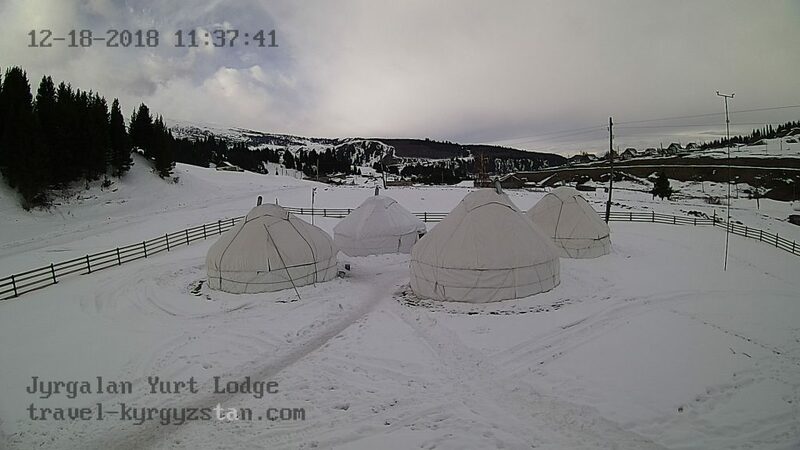 Overall we have 4th yurt set up at our area and now we have 3 client yurts, in the spring we will add one more yurt which means that in summer you can choose to stay from 3 private yurts and one shared. As for mid-December snow status – there is around 35-45cm of snow at the snowmobile-supported back country skiing area and yesterday we had a group from Kazakhstan who enjoyed the snowboarding at this area. Renegade OB crew from New Zeland had a trip of a lifetime during the 14/15 winter season. Gaint mountains, good people, deep powder and cheap vodka. See the video edit. A few guys from Norway having a great fun at our most sweet areas in the Karakol gorge! Book our snowmobiles here. Terskey-Alatoo heliskiing around Karakol. Nice offer from our partners – BC camp Irdyk. You can book a week in the camp which includes daily heli service. The package price is $3850 USD, entry date is Feb 9th 2015. 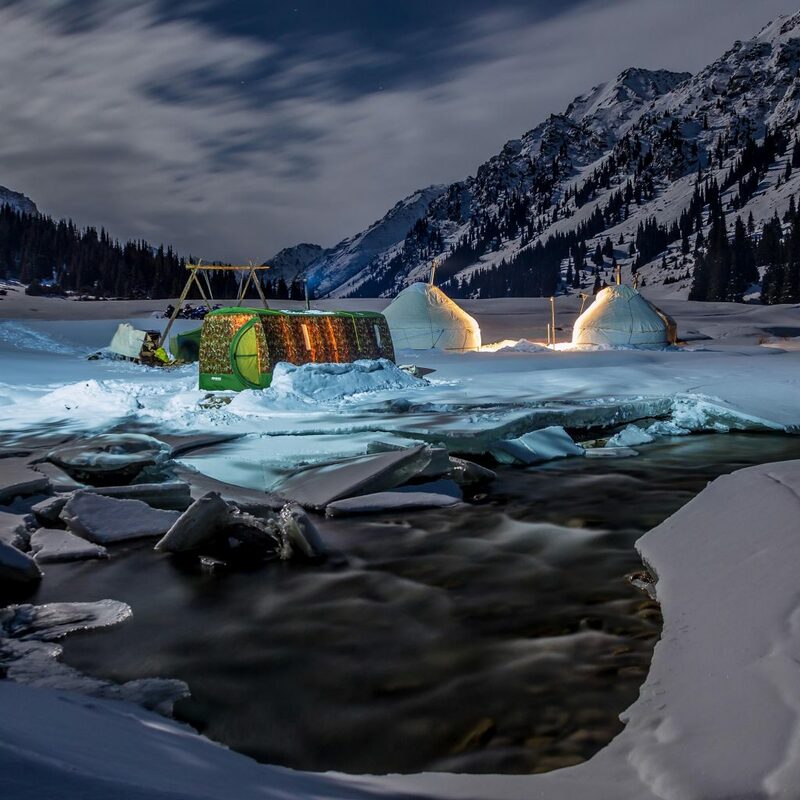 The package includes: heli service, transfer from Karakol and back, full board meals, national yurts staying and a sauna. No problem if you don’t want to go for a full package. 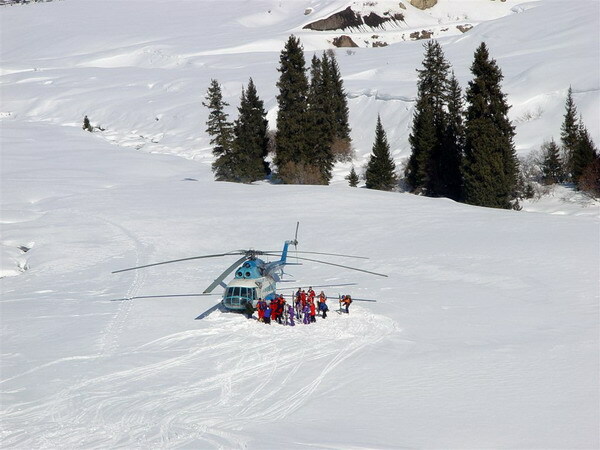 A single day heliskiing price is $550 USD. 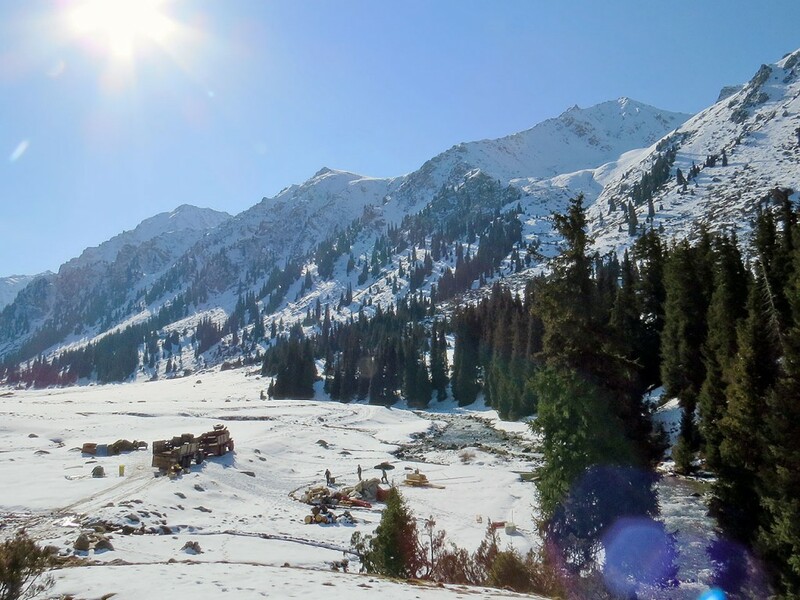 The price includes transfer service from Karakol and back. 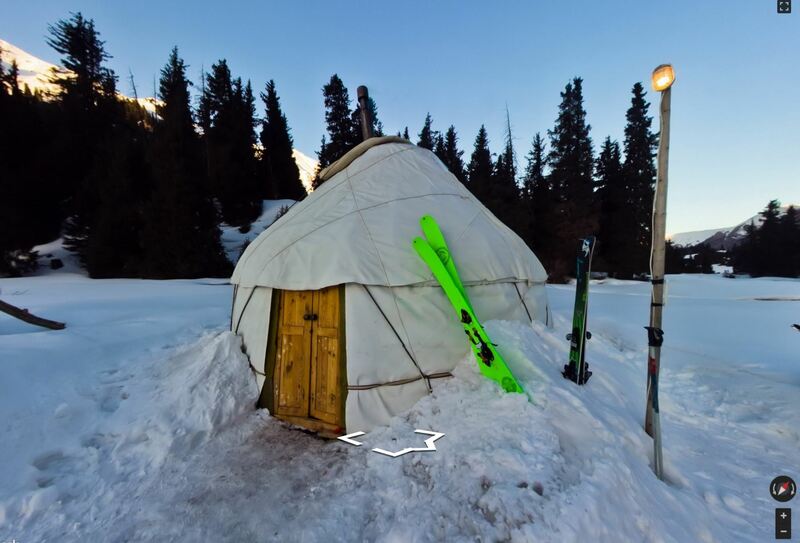 Contact us to book a heliskiing adventure in Kyrgyzstan.